A lecture and discussion by Rein Raud. System and Harmony. Rein Raud is an Estonian scholar and author. He graduated from the Leningrad State University (now called Saint Petersburg State University) in 1985 in Japanese Studies and earned a PhD degree in Literary Theory at the University of Helsinki in 1994. Raud has worked in the Estonian Institute of Humanities (now a part of Tallinn University) and the University of Helsinki, where he is currently a professor in the Department of World Cultures. From 2006 to 2011 Raud served as the first rector of the Tallinn University. 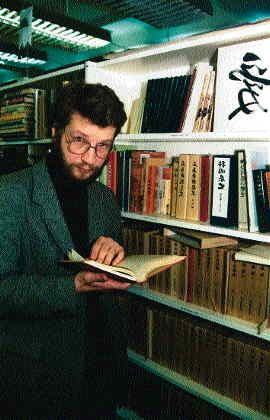 He is also the current President of the European Association of Japanese Studies. As a scholar, Raud has published on a wide range of subjects from cultural theory to pre-modern Japanese literature and philosophy. As an author, Raud has published four collections of poetry, five novels and several collections of short stories and plays. Recently, Raud has started to write and publish very short stories on Twitter.